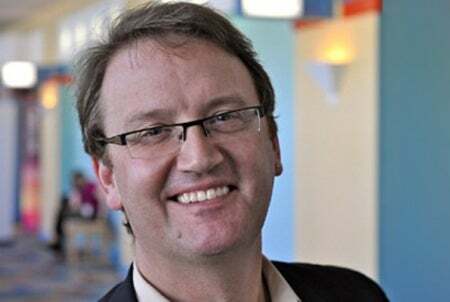 CIO.com's Al Sacco chats with RIM's new VP of Developer Relations, Alec Saunders, about the new BlackBerry platform, BBX, the future of the existing BlackBerry OS, what this software split means to BlackBerry--and Android--developers, and more. In September, not long before Research In Motion's (RIM) fourth annual BlackBerry Developer Conference--and just a month or so after the company's former BlackBerry development chief stepped down--RIM named a brand new VP of Developer Relations: Alec Saunders. This morning, I had the opportunity to chat with Saunders, who's entering the BlackBerry world at a crucial time for BlackBerry customers, both enterprise and consumer; BlackBerry developers; and the Canadian company itself. But Saunders, a former Windows product manager for Microsoft and ex-developer relations chief of QNX Systems, the company that built the foundation for RIM's next generation BlackBerry platform, says he "loves the challenge" he now faces of breathing new life into the BlackBerry brand. Saunders discussed the upcoming, next-generation "BBX" BlackBerry software platform, which will run on RIM smartphones and tablets, as well as details and clarification on the future of BlackBerry for RIM customers, developers and the company itself. BBX is the platform name that encompasses RIM's upcoming smartphone OS and the PlayBook tablet OS, both of which are built on a software foundation from QNX Systems--a foundation that's completely independent from the current BlackBerry OS foundation. So what does this mean for the current BlackBerry OS that's running on millions of BlackBerry smartphones throughout the world? "BlackBerry OS devices will be in market for some time," Saunders says, "but you'll see a natural evolution away from the BlackBerry OS platform" and toward BBX over time. The idea is that future BlackBerry smartphones will all run BBX at some point. Unfortunately, because current BlackBerry OS devices do not have dual-core chips they won't be able to run the new BBX OS, which is designed to run on devices with dual-core CPUs, Saunders says. But this definitely doesn't mean that the BlackBerry OS is "dead," according to Saunders. In fact, he predicts that the BlackBerry 7, BlackBerry 6 and BlackBerry 5 software will run on many BlackBerry smartphones in use during the coming years. He also expects businesses to continue to employ BlackBerry OS devices for years. "We expect it will take time for enterprises to migrate to BBX," Saunders says, since many IT shops have already invested a lot of time and money into the BlackBerry OS, and they're familiar with supporting this software. Bottom line: Though BBX is expected to hit RIM smartphones sometime next year--Saunders wouldn't get specific about release dates--the BlackBerry OS isn't going anywhere anytime soon. A few more details on the new BBX smartphone, from Saunders: the first BBX handhelds will support BES and native PIM apps immediately on launch, or at least that's RIM's intent right now; and a "BlackBerry Bridge" smartphone app is also expected to be available for companies that wish to employ it for security reasons, though the app won't be required to access BlackBerry PIM apps, as is currently the case with RIM's PlayBook tablet. As previously mentioned, BBX is an entirely new smartphone OS for RIM, with a different foundation, and as such, developers will need to take a different approach to BlackBerry development in the future. Perhaps the most notable different between BlackBerry OS development and BBX development is that the BBX OS does not support applications developed using RIM's Java Development Environment (JDE), which has been widely used by RIM developers in the past to create many popular BlackBerry apps. "This was a really tough decision," Saunders says. "We worked really hard to get the JDE environment on BBX." But in the end it just didn't pan out, he says. However, "[n]o developer on BlackBerry today should feel that they need to abandon their existing investments [in Java apps]," Saunders says. "There were companies making lots and lots and lots of money in 2010 delivering apps for Windows XP. And there's a great market today for Java BlackBerry apps. "But the way forward doesn't include the BlackBerry JDE," he says. Saunders also says RIM is now encouraging developers to embrace its new WebWorks HTML 5 development tools. And the company recently unveiled a new set of developer resources, including in-depth training videos, in the form of a new initiative called "BlackBerry Jam." Until the BlackBerry 7 issue is resolved, it remains unclear whether or not BBX smartphones will ever get BlackBerry themes. More specifically, roughly 70 percent of the applications currently available via Google's Android Market are potentially compatible with the BlackBerry PlayBook and the BBX OS. The majority of applications that aren't BBX compatible employ licensed APIs for access to services like Google Maps, etc. And RIM currently has no plans to enable the use of these APIs. So any Android applications that require access to any of these licensed APIs will be incompatible with BBX devices for the foreseeable future, Saunders says. So why would a mobile app developer choose to create a BBX specific application when he could just build an Android app and then "port" it over to the Android Player for BBX in a few simple steps? The main reason: Applications developed specifically for BBX, using native development tools, will be able to take advantage of everything the latest and greatest BlackBerry hardware has to offer, including graphics, display and processor enhancements, Saunders says. Because Android apps weren't built specifically for BlackBerry, they'll work but often won't be as "polished" or advanced as native apps. Saunders thinks the Android Player creates a great opportunity for Android developers to quickly and easily cater to BlackBerry users via BlackBerry App World. But Android apps will still be at a disadvantage when compared to native apps for the above-stated reason, he says. When asked why he's confident about joining RIM at a time when the company is steadily losing customers to Apple and Google and RIM stock is dropping like a lead weight from a skyscraper, Saunders calmly states that he has direct experience working with companies in major transitions. "I have history doing this," he says. "I worked for Microsoft throughout the 90s, focusing on developers. I love developers. I like to work with them. I've walked in the shoes of people doing this kind of work." Indeed, Saunders helped guide the Redmond-based software giant through a number of major software transitions, including significant Windows launches. "The toughest problem (RIM and) BlackBerry have is that our story is not well told," Saunders says. "It's being drowned in market noise. People forget there's a beautiful opportunity here. The market needs to understand this. Our customers are loyal, developers are loyal. I want to bring techniques I learned [in the past] to the world of BlackBerry."